Has 'the right to identity' aka Aadhaar, as claimed by Rahul Gandhi, been bestowed on all the members of Congress Working Committee and AICC? It has been almost five years. When will these people claim their manufactured 'right to identity'? Irregularities committed by the illegal UIDAI has been dealt with from page numbered 11 to 14 of this Report of the 31 member Parliamentary Committee on action taken by government on the recommendations contained in the Sixty Ninth Report of the Committee (Fifteenth Lok Sabha) on Demands for Grants (2013-14) of the Ministry of Planning. The PSC notes that “out of 60 crore residents to be enrolled by UIDAI by March 2014...While the details regarding number of Aadhaar cards generated has been furnished, the reply (of the government) is silent as regard to the number of cards issued.” The report notes that replies indicating action taken on all the recommendations contained in the report were furnished by the government on 22 July 2013. The claim about creating “the right to identity” to Indians alluding to biometric identification is astoundingly bizarre. Disregarding public resistance to national ID cards for creating an inventory of citizens world over, Rahul Gandhi’s advocacy for it reveals his identity as a threat to civil and political rights. Will he explain as to why Great Britain has scrapped its ID card program and National Identification Registry? Why it has been abandoned in the US, Canada, China, France and Japan? The factual inaccuracy of the proposition for the creation of “the right to identity can easily be understood if one examines as to whether or not Sonia Gandhi has been bestowed “the right to identity” or not? 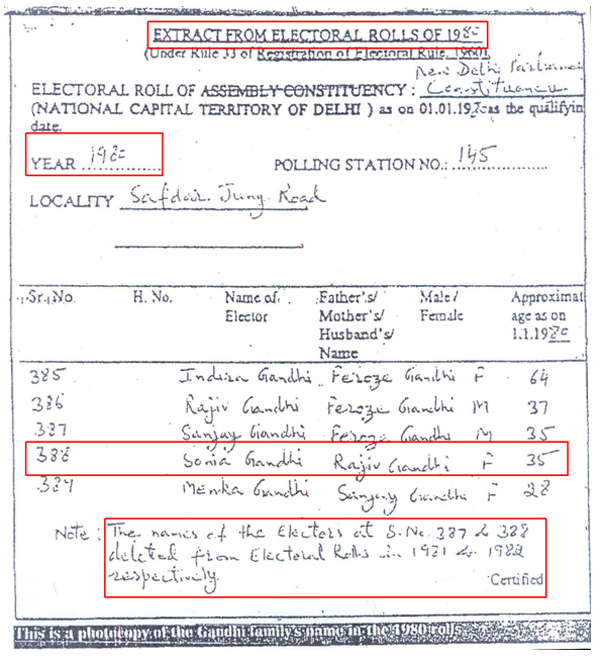 It may be recalled that although the attached electoral rolls (see the image below) revealed that Sonia Gandhi's name featured the electoral rolls of 1980, the fact was/is that she was not a citizen of India at least till 1983. She gained the identity of an Indian citizen quite later by naturalisation as provided for under Section 6 of the Citizenship Act, 1955 when Section 5 (c) was inserted in the Citizenship Act, 1955, through an amendment. The inserted section enabled her, as a foreign spouse marrying an Indian citizen to acquire Indian citizenship by registration, if he or she has resided in India for five years at the time of applying. Section 5 of The Citizenship Act, 1955 provides for citizenship by registration which reads “Subject to the provisions of this section and such conditions and restrictions as may be prescribed, the prescribed authority may, on application made in this behalf, register as a citizen of India any person who is not already such citizen by virtue of the constitution or by virtue of any of the other provisions of this Act” and belongs to any of the categories like [persons who are, or have been, married to citizens of India and are ordinarily resident in India and have been so resident for five years immediately before making an application for registration]. Section 6 of The Citizenship Act provides for citizenship by naturalisation, which reads, “Where an application is made in the prescribed manner by any person of full age and capacity who is not a citizen of a country specified in the First Schedule for the grant of a certificate of naturalisation to him, the central government may, if satisfied that the applicant is qualified for naturalisation under the provisions of the Third Schedule, grant to him a certificate of naturalisation—provided that, if in the opinion of the central government, the applicant is a person who has rendered distinguished service to the cause of science, philosophy, art, literature, world peace or human progress generally, it may waive all or any of the conditions specified in the Third Schedule” of the Act. The fact is that “right to identity” in India is conferred on Sonia Gandhi due to Section 5 of the Act that provides for citizenship by registration which was inserted in July 1987. It is reported that she became citizen of India on 30 April 1983 at the age of 37. She was born on 9 December 1946 in Lusiana, Veneto, Italy and was most likely an Italian citizen till then. Rahul Gandhi was born on 19 June 1970. The right to identity is conferred by Citizenship Act and not by Congress party as is being claimed. Has “the right to identity” been bestowed on all the members of Congress Working Committee and AICC? It has been almost five years. When will these people claim their manufactured “right to identity”? In the book Identifying Citizens: ID Cards as Surveillance, by David Lyon of Queen's University, Ontario, Canada points out the role of cartels of identity card promoters in its proliferation. Opponents of eugenics like Abraham Myerso, neurologist and psychiatrist argued that “There are fine people springing from the most unlikely parents, and the finest parents may bring forth the wildest and most inadequate progeny." They rightly argued that is/eugenics was a pseudoscience fraught with racist agendas. Now Eugenics and its genetic determinism of identity stands discredited. Rahul Gandhi’s advocacy for “Right to Identity based on biometric data” is as regressive as the eugenic programmes. But under the influence of likes of Sam Pitroda who seems to have fathered the entire identification and tagging exercise even Trinamool Congress is steering clear demanding abandonment of the scheme in totality as has been done in several countries to safeguard civil rights. It is reliably learnt that after West Bengal Assembly passed a resolution against biometric Aadhaar number, people are getting notices from the Office of the Registrar General and Census Commissioner (ORG&CC), Ministry of Home Affairs, Government of India through municipalities asking them to mandatorily enroll for biometric National Population Register (NPR) for Aadhaar number. This exposes the deceptiveness involved in the entire exercise because as per ORG&CCI only 17 states and two Union Territories of India are to be covered under NPR and West Bengal is not included. The rest of the states and union territories are being covered under biometric Aadhaar. The fact is both the Centralised ID Repository (CIDR) of biometric Aadhaar number and NPR which also generates Aadhaar number is essentially the same because both the databases are being converged as per design. Shukla added that steps have been taken with a view to eliminating overlap. These setups included enrolment by UIDAI has been limited to 60 crore residents in the States/UTs listed for the time being, when a person while enrolling for NPR indicates he/she is already enrolled for Aadhaar by UIDAI, the biometric data is not to be captured by NPR. Instead the Aadhaar number/enrolment number is recorded by NPR and the biometric data can be sourced from the UIDAI, Aadhaar numbers are generated for all residents who enroll with NPR thus obviating the need for such residents to re-enroll with the UIDAI and an inter-ministerial coordination committee has been constituted to ensure smooth implementation of enrolment by NPR and UIDAI. The reply given in response to questions by members of Parliament (MPs), Sajjan Singh Verma and Syed Shahnawaz Hussain is actually a confirmation of the inbuilt convergence and overlapping. The Union Territories covered under it include Dadra & Nagar Haveli and Chandigarh. In the meanwhile, it has been reported that the Congress Core Committee at the AICC meeting has recommended that Aadhaar should not be made mandatory for LPG subsidy. Is it acting compliance with the recommendations of the Parliamentary Committee “particularly in the light of recent judgement of the Supreme Court mentioning that no person should suffer for not possessing the Aadhaar card”? The government must in the meantime issue instructions to state governments and to all other authorities that it should not be made mandatory for any purpose. The fact is that Congress and most political parties who are avoiding to take a clear political position demanding scrapping of the biometric identification exercise are speaking with forked tongue. Hasn’t such stance been engineered under influence of donations to the tune of 7.5 % of annual profit of the companies under the new Companies Act, 2013? Commenting on Aadhaar-based cash transfers, at Jantar Mantar in New Delhi, Shankar Singh of Mazdoor Kisan Shakti Sangathan had prophetically said, “You transfer cash, we’ll transfer our votes.” The voters transferred the votes from Congress to Bharatiya Janata Party (BJP). Out of the 49 assembly constituencies where direct benefits transfer (DBT) implemented, the Congress could win only three, while BJP won 39. This is a verdict against Aadhaar-linked programs of the Congress party. BJP cannot afford to delay announcement of its abolition. It should unsign the memorandum of understanding (MoU) the state governments signed with illegal and illegitimate Unique Identification Authority of India (UIDAI) headed by Congressman Nandan Nilekani. So far Rajasthan is the only state, which has filed its affidavit in the matter of biometric Aadhaar number in compliance with the Supreme Court’s order of 26 November 2013 seeking affidavits from all the states. Vasundhara Raje Scindia assumed the office as the 24th chief minister of Rajasthan on 13 December 2013 defeating Ashok Gehlot of Indian National Congress (Congress). It was unethical and inappropriate for the Gehlot government to have filed the affidavit in the matter on 5 December 2013 knowing instead of waiting for the new chief minister to take over. All the citizens of 33 districts of the state await Raje’s intervention to save them from the harassment caused to them due to the implementation of illegal and illegitimate biometric Aadhaar number scheme. It is not clear as to how this “obvious” inference has been arrived at. But when one reads what this affidavit argues about the powers of the Supreme Court then it becomes abundantly clear that it is not only dismissing the fundamental rights of citizens but also the powers of the Court. It submits, “It is most respectfully submitted that the Court has very limited powers of judicial review to examine a policy decision.” This argument will have us believe that court has limited powers and the government has unlimited powers. On the issue of “Lack of competence of Executive to implement Aadhaar Scheme in absence of legislation or when legislation is being contemplated by the Parliament”, it submits that “The executive power is only fettered by the fact that it should not be inconsistent with any law made by the Parliament or which contravenes the fundamental rights of the resident. In the present matter, the Union of India had the legislative competence to enact law and therefore shall proprio vigora have requisite executive power.” The Latin phrase PROPRIO VIGORE means by its own force or vigor or of one’s own strength. This proposition in the affidavit is absurd and the phrase in question has been used in an inappropriate context. The fact is that Government of India can introduce the Bill in the Parliament and propose the law but it does not mean it has “the legislative competence to enact law”, the competence for enactment of law lies with the legislature. The affidavit is deliberate creating ambiguity about the involvement of private agencies and confines itself to the agencies involved in the distribution of Aadhaar. It feigns ignorance about involvement of transnational identification technology companies who admittedly work with foreign intelligence agencies. The Gehlot government had issued a circular on 17 October 2012 to all the residents of Rajasthan including government servants to get enrolled for Aadhaar. Field visits in Rajasthan in February 2013 revealed that two months after the roll out in 20 pilot districts, the total amount of money transferred nationally was only Rs5.5 crore through the Aadhaar-based payment network. In Ajmer, out of some 20,000 potential beneficiaries, only some 220 beneficiaries received money in the bank through the biometric Aadhaar. Even this money was not through a biometric identification, illustrating how it was a failure. In the Janani Suraksha Yojna, out of some 1400, only 139 women who delivered children in the hospital received money in the bank through Aadhaar sans biometrics. The experiment in Kotkasim, Alwar district, Rajasthan brought to light the fact that the crash in sale of kerosene happened because many ration card holders did not have bank accounts but financial newspapers reported that the sale dropped because leakage has been plugged based on District Collector’s report. The fact was since the subsidy could not be reimbursed to many ration card holders, they were compelled to stop buying kerosene. The banks are located far away adding to the villagers having to incur transport expenses. If such experiments continue even the existing system will collapse as people are being driven out from it. It is not about the “bogey of non-access to public services”, these experiments reveals that the Aadhaar based system is not working. The Congress-led Rajasthan government had linked 10-key schemes to the Aadhaar unique identification programme making it compulsory for arms license, old-age, widow and differently-abled pension schemes, rural job cards, ration cards, driving license, property registration, water and electricity connections, Indira Awas Yojna and student scholarships. The fact is that there is no evidence about the extent of the leakage due to duplicates. The paper done by the National Institute of Public Finance and Policy at the behest of UIDAI is an exercise in assumptions because the authors themselves admit that their data is outdated and in some aspects the data is not available. This is admittedly not an independent study as was claimed by Nilekani in April 2013 in Washington. The biometrics collected for “de-duplicating” all the residents of Rajasthan is an improbable task because the December 2009 report of UIDAI’s committee on biometrics revealed that in its sample of 25,000 people, 2-5% did not have biometric records. It is estimated that approximately 5% of any population has unreadable fingerprints, either due to scars or aging or illegible prints. In the Indian environment, experience has shown that the failure to enroll is as high as 15% due to the prevalence of a huge population dependent on manual labour, according to RS Sharma, the then director general and mission director, UIDAI. When as many as 15% fail to enroll, how does “Aadhaar in the beneficiary database ensures detection of a large number of duplicates”? The affidavit submits, “It is equally a sedimented proposition of law that possibility of misuse or even some aberrations whilst implementation or enforcement of a policy decision would not invalidate a scheme or policy decision.” Similar indefensible arguments have been advanced by Congress-led union government in the matters of coal block allocation and 2G spectrum allocation. It has been admitted by the government that Court can intervene if “the policy decision is patently arbitrary, discriminatory or mala fide”. There is sufficient evidence to infer that decisions regarding Aadhaar and related schemes are ‘patently arbitrary, discriminatory or mala fide’. It is arbitrary because there was no feasibility study and no cost-benefit analysis that preceded their launch. In response to a question in the Lok Sabha: "whether any pre-feasibility study or cost benefit analysis was done before the notification for creation of UIDAI was issued on 28 January 2009; if so, the details thereof," V Narayanaswamy, as minister of planning, replied on 18 August 2010 that "An Empowered Group of Ministers which was constituted in December 2006 .... decided that a Unique Identification Authority of India be constituted under the Planning Commission and be made responsible for implementing the project which would aim at better targeting of welfare services, improving efficiency of the services and better governance. The benefits accruing out of the project should far outweigh the cost of the project." It did not undertake the cost-benefit analysis and this was underlined by the Parliamentary Standing Committee on Finance in its report. It is mala fide because it has not disclosed to Indians that the biometric profiling under Aadhaar is linked to National Population Register (NPR), which in turn is related to National Intelligence Grid. The new government in Rajasthan should immediately withdraw this circular issued by CK Mathew, the chief secretary in compliance with the Supreme Court’s order to tide over the sad legacy of the Congress government. Aadhaar should be made mandatory for linkage and issued with strict verifications. Direct benefits transfer (DBT) should be abolished. DBT is a waste on administration and harassment to concerned Citizens. With an explicit approval of ministries of finance and petroleum and natural gas, unprecedented bombardment of messages (SMS) on mobiles of consumers is going on. Oil marketing companies like the Hindustan Petroleum Corp Ltd (HPCL), Bharat Petroleum Corp Ltd (BPCL) and Indian Oil Corp (IOC) are daring the majesty of the Supreme Court, which has reiterated its ban on the making of Aadhaar mandatory for any services. It is evident that the floodgates of messages (SMS) have been opened under the influence of Nandan Nilekani, chairman, Task Force on an Aadhaar-Enabled Unified Payment Infrastructure for the direct transfer of subsidies on Kerosene, LPG and Fertilizer, Task Force on Direct Transfer of Subsidies on Kerosene, LPG and Fertilizer and Unique Identification Authority of India (UIDAI) in manifest and admitted non-compliance of the apex court’s order. The consumers are bearing the consequences of the terms of reference of an (Interim) Task Force on Direct Transfer of Subsidies on Kerosene, LPG and Fertiliser that was constituted on 14 February 2011 by the Ministry of Finance. Its mandate was to “examine and suggest an implementable solution for direct transfer of subsidies on Kerosene, LPG and Fertilizer to intended beneficiaries with the use of Aadhaar numbers (Unique Identification numbers), Aadhaar-enabled transactions and Aadhaar authentication infrastructure of the UIDAI.” This was announced in the Budget Speech of 2011-12. Subsequently, the Terms of Reference of the Task Force were extended to include the development of an Aadhaar-Enabled Unified Payment Architecture to on 20 September 2011. For the central government what is at stake is the recommendation of these task forces which are being implemented in contempt of Supreme Court as if the Task Force is superior to the Court. Central government had sought modification of the Court’s order by its application of 8 October 2013 but the Supreme Court did not grant them any relief and instead it categorically stated in its order of 26 November 2013 that its order of 23 September 2013 remains unmodified. The order unequivocally directed, “no person should suffer for not getting the Aadhaar card in spite of the fact that some authority had issued a circular making it mandatory.” But these companies are making the consumers suffer. 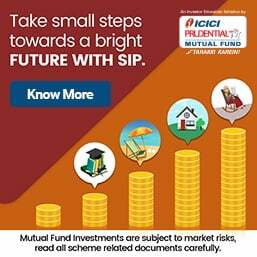 Parliamentary Standing Committee on Finance had apprehended that “The possibility that some such agencies (data collecting entities) are aligned to communal and fundamentalist groups and thus having ulterior motive in collecting non-mandatory information, cannot be ruled out.” Its apprehension stands vindicated. Ministry of Petroleum and Natural Gas (MoP&NG) has filed the attached ‘Application for clarification/modification of order dated 23.09.2013”. The court’s order of November 26 reads: "After hearing the matter at length, we are of the view that all the States and Union Territories have to be impleaded as respondents to give effective directions. In view thereof notice be issued to all the States and Union Territories through standing counsel. The advocates who have already entered appearance must file their replies within a period of three days from today. Learned standing counsel for the States who were not represented may take instructions from their respective States and file their response within one week." Now Nilekani is indulging in fibbing and hiding his indulgence in myriad veils. As chairman of UIDAI, he issued the unique identification (UID)/Aadhaar enrolment form making a solemn declaration that “Aadhaar Enrolment is free and voluntary.” This is a declaration of Government of India. This is a promise of Planning Commission of India headed by the prime minister. As a consequence, all the agencies, state governments, the Government of India and the “agencies engaged in delivery of welfare services” are under legal and moral obligation to ensure that it (UID/Aadhaar) cannot be made mandatory. According to the Strategy Overview document of the UIDAI "enrolment will not be mandated" adding, "This will not, however, preclude governments or registrars from mandating enrolment." The ‘governments or registrars’ who are making it mandatory is none other than Nilekani. The enrolment form of Aadhaar/unique identification (UID) number promises on top of the form that it is “free and voluntary”, several central ministries and uninformed state governments attempted to make it mandatory, in a manifest case of breach of citizen's trust. It is the promise of the President of India and Government of India. Is it not? Clearly, Nilekani’s words in his official capacity are untrustworthy. This is unbecoming of a person who has a rank of a cabinet minister in the Planning Commission. The column no 8 in the Aadhaar Enrolment Form at page no 1 refers to “agencies engaged in delivery of welfare services”. Are these oil marketing companies (OMCs) which are harassing consumers, “agencies engaged in delivery of welfare services”, their conduct in violation of the court’s order illustrates how they are delivering illegal, intrusive and unwelcome messages and not welfare. At page no 2 of the Aadhaar Enrolment Form provides, “Instructions to follow while filling up the enrolment form” which states that column no 8 is about seeking consent from an Indian “Resident (who) may specifically express willingness/ unwillingness by selecting the relevant box” by ticking “yes” or “no” options . The column no 8 at page no 1 reads: “I have no objection to the UIDAI sharing information provided by me to the UIDAI with agencies engaged in delivery of welfare services.” Now the issue is that if residents are promised that enrolment is “voluntary” they may have given their consent unaware of its ramifications but if they know now that it is made “mandatory” they are may refuse to give their consent. Has their consent been frozen? Given the fact that the pretence of taking consent from consumers was advanced. It has clearly established two sets of biometric Aadhaar number holders, one who have given consent for their information to be shared with the agencies involved in delivery of welfare services and the other being those who enrolled for the biometric Aadhaar number but they did not give consent for their information to be shared with these agencies. The question is why are the ones in the latter category too are being submerged in the flood of unwanted messages. Among the Big Data and intelligence companies the constant refrain is data is never shared, it is bartered. Isn’t UIDAI bartering away right to free choice, a basic human right in the name of plugging the leakage of the subsidy? The court is likely to hear the matter on 28 January 2014 and take these ‘welfare agencies’ and the concerned ministries to task. But in violation of Supreme Court's order, Ministry of Petroleum and Natural Gas through notifications published in the Gazette of India vide GSR 718 (E) and GSR 791 (E) has made several amendments to the Liquefied Petroleum Gas (Regulation of Supply and Distribution) Order 2000 (no.10) claiming powers conferred under Section 3 of the Essential Commodities Act (ECA) 1955 has made UID/Aadhaar mandatory. The Section 3 of ECA 1955 gives powers to control production, supply, distribution, etc of essential commodities. It is inexplicable as to how this provides a legal mandate to link the UID number with its services. This implies denial of subsidy to those who do not have the impugned UID number, which is based on some biometric identification of ‘usual residents’, unmindful of the fact that the subsidy in question is meant for citizens. This is a case of manifest inconsistency, because it does not differentiate between a citizen and a non-citizen. Despite UID/Aadhaar number being legally questionable its continuing enrolment for biometric UID/Aadhaar number based on an Enrolment Form which promises that it is ‘free and voluntary’ and indulging in a sleight of hand by stating that by enrolling you give consent for it to be made mandatory through 'welfare agencies'. The fact is UID number is constitutionally, legally, legislatively, politically, historically, democratically and ethically wrong and the key issue is not whether it should be mandatory. It is an attempt take over property rights over personal sensitive information from citizens for good. It constitutes colossal and unprecedented assault on privacy and democratic rights. Under the influence of advertising which is being dished out by UIDAI and the Governments, some publications and icons like Amitabh Bachchan will have us believe that there is nothing wrong with Orwellian architecture masquerading as solutions architecture and public information infrastructure. The video of Bachchan in ICICI bank ad endorsing biometric UID/Aadhaar is available here. The claims of the Solicitor General and Ministry of Petroleum are questionable. An undated letter (circular) of the Ministry reads, "...we will restrict LPG distribution only to those who have registered Aadhaar numbers with the distributor." This is in direct contradiction to the submission made by Solicitor General in the Supreme Court. It is clear that it has nothing to do with the subsidy this is about the supply of LPG itself, with or without subsidy. Meanwhile, it has come to light that individual companies have already put in place a process for continuing LPG supplies with or without Aadhaar/UID number and with or without Direct Benefits Transfer (DBT), hence there can be no disruption or hardship caused by removing UID from the DBT process as envisaged by the Solicitor General. In a bizarre move, three oil PSUs have moved the Supreme Court seeking modification of its earlier order, but before a different bench of Chief Justice P Sathasivam and Justice Ranjan Gogoi for an urgent hearing, according to a report of the Press Trust of India dated 6 October 2013. Dealers in Madhya have revealed to this author that there is a compelling logic to keep the Aadhaar-linked subsidy transfer for LPG in abeyance. MoPNG and OMC has/had proposed to launch DBTL in Indore, Bhopal, Jabalpur etc on 1 October 2013 wherein it is/was envisaged that after 31 December 2013 no consumer shall be able to get the subsidy transferred to their bank account if he/she does not have Aadhaar or the Aadhaar is not linked with the bank account. Notably, those people who got their Aadhaar number linked to gas connections are being charged an undeclared hike of Rs50 per cylinder. Hindustan Times, Bhopal has reported on 9 January 2014 that IOC is arguing that it is not blame as the LPG consumers of IOC are paying extra because of the value added tax (VAT) uniformly levied by the central government. IOC has announced that once the deadline of seeding gas connections with Aadhaar is over the cylinders would be available at the market rate and only way of availing of the subsidy would be through the Aadhaar linkage to the gas consumer and bank account. • Many labor class persons could not get the Aadhaar made as their finger prints are not being captured while making the UID. Even when P Chidambaram, Nilekani, Veerappa Moily grow too old their biometric data cannot be captured. • Not completing the formalities in the given time due unavoidable circumstances such as being abroad for few months/ out of station for long period/Not well for long period. etc. The dealers are arguing that on the basis of the fact that Supreme Court order, Aadhaar cannot be made mandatory for availing the subsidy otherwise huge number of the consumers shall be deprived of their bona fide right to avail the subsidy. Meanwhile, on 6 January 2014, LPG Distributors Federation has announced that they will go an indefinite nationwide strike from 19th January. Their demands include direct benefit transfer for LPG scheme be made compliant with the direction of the Supreme Court. The strike is also a protest against distributors being forced to take Aadhaar from the customers despite Court’s order. Supreme Court has simply stated what the central government has promised in the Parliament. In its order what the Court has done is to simply reiterate the significance of the promise made by Government of India. As of now Chidambaram, Nilekani, Moily and the oil companies are making the court’s orders subservient to their court’s directions. This sets a dangerous precedent. LPG adhar subsidy rules wrong.becuase poor people get money problem at a gas reilling time.Me sumbitted to adhar card both of bank and gas distrubiter.so i today went purchase a refilling gas cylinder but bill amount 1120 per 1 refilled gascylinder.me also get money problem. And finally, the stupid scheme goes! What a relief! But, what happens to those who have purchased the cylinders at market prices without an aadhar card and those who never got their subsidy credited. The government cannot enrich itself through an illegal earning. Should someone move the courts again to get their money back. In the last couple of months, the difference is around the Rs.900 mark per cylinder. Let us now focus on this part of the stupidity. When we went for Aadhar registration, we were asked to get the census slip. Now, since we were not present in the state during the census, we did not have it. Again, based on the SC order, we did not pursue obtaining the Aadhar card. Now with the Gas companies making Aadhar mandatory for subdised rate LPG, we do not know where to get the Aadhar card from. This is not right on part of the oil companies to proceed with making Aadhar card mandatory. We have Passport, Driving Licence, Bank A/C's, Ration Card, PAN Card..
How many more ID's do we require to provide that we are Indian citizens to avail of benefits? In TN, we were asked for the census slip for enrolment to Aadhar. Now since we were not in this state during the time, we did not get enrolled in census. Again, based on the SC order that Aadhar is not mandatory, we did not pursue for Aadhar card. All of a sudden, Gas companies are now making it mandatory. We are now not sure of where to get the Aadhar from in TN. According to news reports, the ministry may increase subsidised LPG from the present nine cylinders to 12, but may go for a further price hike of between Rs. 75 and Rs. 100 per cylinder. Price of LPG has already been hiked Rs. 200/- as "New Year 2014 Bonanza ". In Delhi it is Rs 1,241 per Cylinder now. If it is increased Rs.100 then it will be Rs. 1,341/-. The real problem with Aadhar linked LPG is that you have to pay Rs. 1341/ at the time of delivery/purchase of LPG. The subsidy amount will be credited to your bank account only. How can a poor man pay this amount to buy LPG? 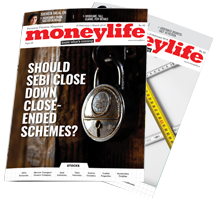 It is a fact that in our villages, credit is still all about moneylenders. Therefore poor people will be forced to approach the loan sharks for the amount to buy LPG. By linking Aadhar with LPG the government is actually making the lives of the poor more miserable. The Supreme Court can initiate Suo Moto action and the media can certainly help. Wonder why everyone is maintaining stoic silence. A few days back Times of India - New Delhi carried a half page advertisement of Ministry of Petroleum to get AADHAR card to get subsidy. individually poor people first priority is to get gas and subsidy(intended bribe for vote). the ministry/babus do not obey Supreme court order, because they know no individual will spend money and time to get contempt notice issued. The ground situation is like this ( at least in Mumbai). When you book the gas the bill is made for full amount without the subsidy. Delivery boy stakes this full cash from you.If your dealer and Bank have your Adhaar registration, subsidy part comes to your bank account ( very promptly,at last for now)and if your Adhaar is not given,you just lose the subsidy amount. Contempt of Court is so obvious. But some one has to proceed. It looks, now our democracy works only through Courts, not by popular vote. Sir the LPG distribution agency is forcing people to provide a signed copy of the Aadhar card with their consumer copy. They also ask to submit the aadhar card copy to the bank to get the subsidy.Also the gas distribution agency is accpeting booking only through a call center facility. This is extremely hard on senior citizens since some of them do not know to operate a mobile phone.Moreover the voiceover is not even clear to the normal ear. I think it is the modern day "Veerappan" who is defying Court Orders. if the autorities are britching the order of Hon'ble Appex court, then why no one preferring Contempt Proceedings? In fact that would be the ultimate end of this elaborate discussion. Hope Hon. Supreme Court of India will take contempt proceedings against the OMCs immediately. It will send a strong message that the highest Court of the land is not a weak institution as that of the present PMO. High time to crack this scam....its an insult to the system and citizens of India.